Unlike braces, there are no brackets to tighten, no wires to clean around, no unsightly brackets to draw the attention away from your beautiful teeth, and no more having to pick food out of your teeth after meals. Instead, different trays are used to move the teeth into their new positions. Typically trays are changed every 3 days to two weeks. The trays are easily removed when eating, brushing, and flossing. Invisalign® is a popular choice for straightening teeth because it involves minimal disturbance to your daily routine or appearance. The trays are difficult to see and most people will have no idea you are wearing them. Also, there is much less discomfort as compared to braces. Propel often cuts treatment time down to a 1/4 of the original proposed time. Even advanced cases can be completed in as little as 4 months! 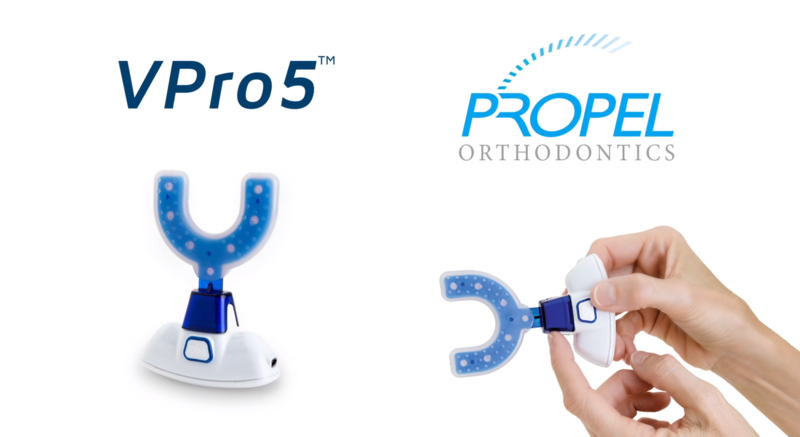 In our continuous effort to provide the best orthodontic care for our patients, we are excited to offer PROPEL technology in our practice. PROPEL accelerates bone remodeling, which allows the teeth to move faster and more predictably into their ideal position with less discomfort. Our doctors work hard to bring you the highest quality of dental care, so you can leave with the healthiest possible dream smile.